In the handful of years I’ve been climbing, I’ve had the pleasure of visiting a fair few different outdoor areas. From Magic Wood and Chironico in Switzerland, to Albarracin and Margalef in Spain, and a quickie in Peak District in the UK, each specific area offers its own distinctive vibe. For me though, there’s nothing quite like a weekend with friends in Fontainebleau. I’ll readily admit that it being so close to home—a five-hour drive from my home town of Eindhoven—and it offering an insane collection of top problems of all difficulties helps. 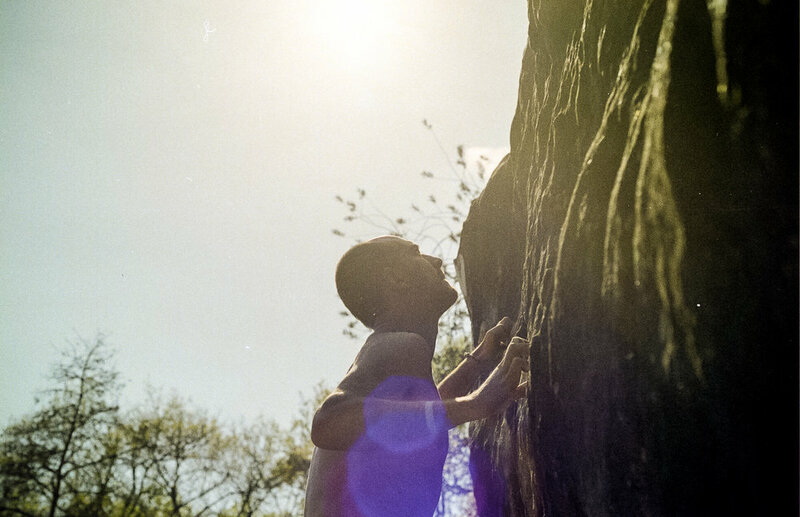 What’s more though (and I apologize for dropping the term once more) is that there’s something unique about the Fontainebleau climbing lifestyle. 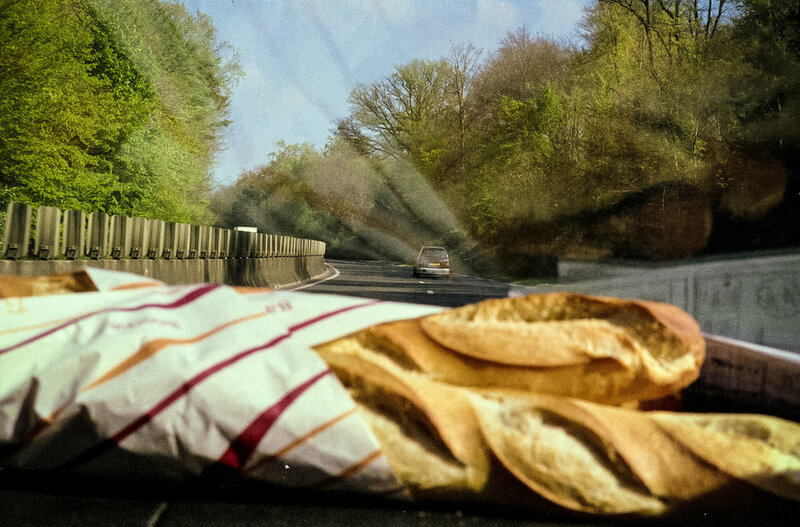 That first proper croissant and baguette with brie upon hitting France just can’t be beaten. 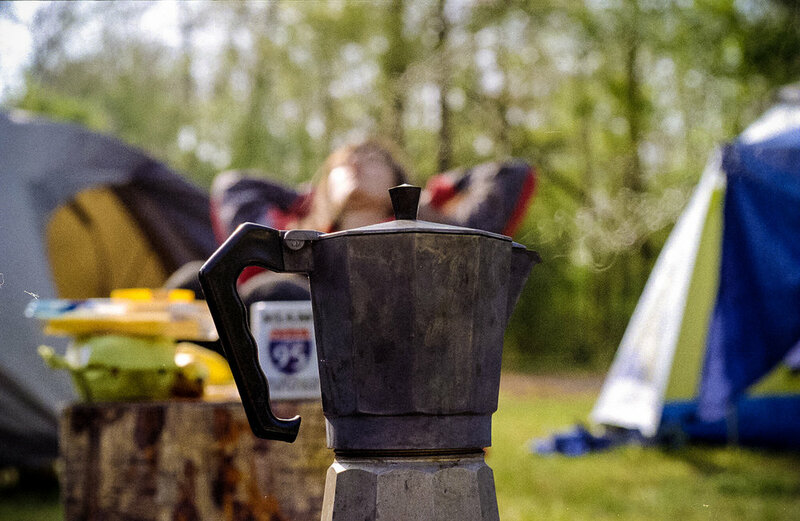 Setting up your tent next to those of your mates and waking up to one of them brewing a fresh pot of coffee is a true feast. No matter how ridiculously rich I may one day become, I’ll never skip out on getting the cheapest carton of jus d’orange at the local supermarket. 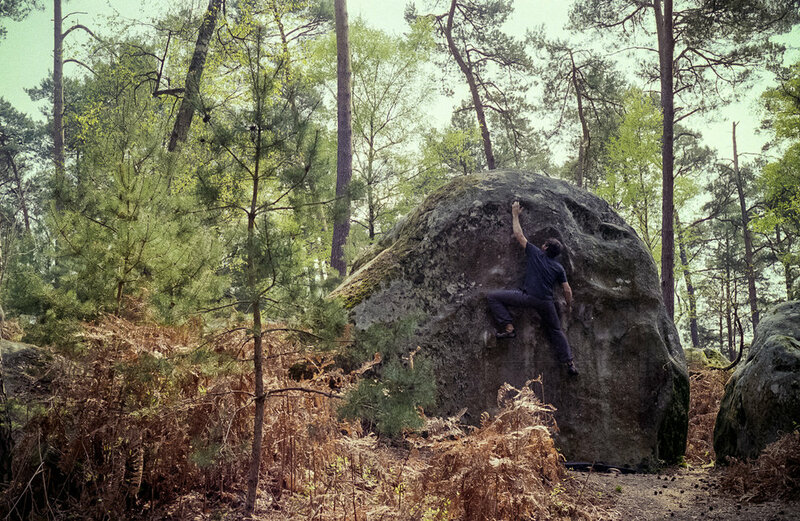 Even though Fontainebleau is an insanely huge climbing area, you somehow always run into someone you know at the first boulder you put your pad down next to. On a recent trip, Jimmy Webb and Jorg Verhoeven were literally the first two climbers we saw when walking from the parking lot to the boulders. But even if you don’t run into any friends, there’s always some far too strong German kids or far too modest and cynical British climbers who are happy to share beta and work on a problem together. Then just as you’re really ready to surrender and move on to the next problem, a 60-year-old, bare-chested Frenchman will appear out of the woods, smoking shag tobacco, climb the problem, make it back to the ground and comment with a fat French accent: It’s not so hard. It is this picture of Fontainebleau that I wanted to capture when I opted to leave the digital camera I normally use for assignments at home, and instead took the old school analog approach. When I’m shooting commercial projects I tend to capture huge volumes of photos to make sure I get the perfect shot. It can sometimes be nice to slow down though, and this is a great way to hone your skills and critical eye as a photographer. I ended up taking only a simple Nikon FE body, which I got online for about 50 euros, and a 50mm lens. I’d had this camera for a while and even brought it on my month-long voyage to Santiago de Compostela. It can be incredibly liberating to only be able to work with just one simple camera and lens that doesn’t zoom. This forces a photographer to focus on the content they’re capturing, as there aren’t as many technical choices getting in the way. Even though I wanted to slow down a lot and pay far more attention to each individual frame, I knew I had to bring plenty of rolls of film. If memory serves it must have been 10 rolls or so for a three-day trip. Analog shooters from the old day probably won’t think too much of this, but I hadn’t shot this volume on analog before. Now of course I shot some climbing, but only a small fraction of a typical climber’s time is spent actually climbing. It’s the moments in between that make up the total experience. The day starts off with an early morning breakfast by the tent at the well-frequented camping site of Grez-sur-Loing. Next comes the drive to the sector of the day and hauling all gear to the best blocks. Some browsing through the guidebook, a lot of checking out blocks and lines, taping up sore fingers, taking a rest, enjoying the surroundings and goofing around with friends. Climbing isn’t a solo lifestyle even though the literal activity of climbing is done individually. The key to being a successful lifestyle photographer is that you have to actually live the lifestyle you’re trying to capture. On this particular occasion, this was easy since I was well acquainted with the subject matter and was there with friends. On other occasions, when trying to capture a lifestyle I’m not yet familiar with, this may be slightly harder. What’s crucial in that case is being able to quickly and sincerely connect with the people whose lifestyle you’re wanting to capture. I don’t want to be seen as a photographer who’s there to take photos of these people; I want them to see me as a peer who is genuinely interested in their lifestyle. By asking many questions and sharply observing my subjects I’m able to quickly understand and even slightly live their lifestyle. It’s this aspect that makes me love what I’m doing: It’s not so much about being a good photographer as it is about being a social and interested person. Photographer based in Eindhoven, The Netherlands, focused on capturing athletes’ lifestyles for brands. Join our community and we'll send you our latest issue on climbing, creativity and culture straight to your inbox.